This 12.5x28mm. 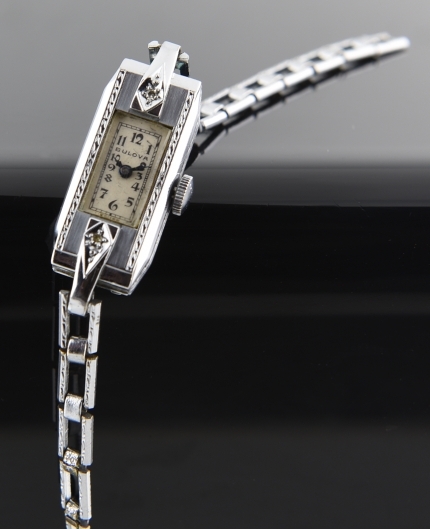 steel ladies BULOVA cocktail watch from the early 1940’s looks fabulous on the wrist. Two tiny diamonds embellish the bezel ends. 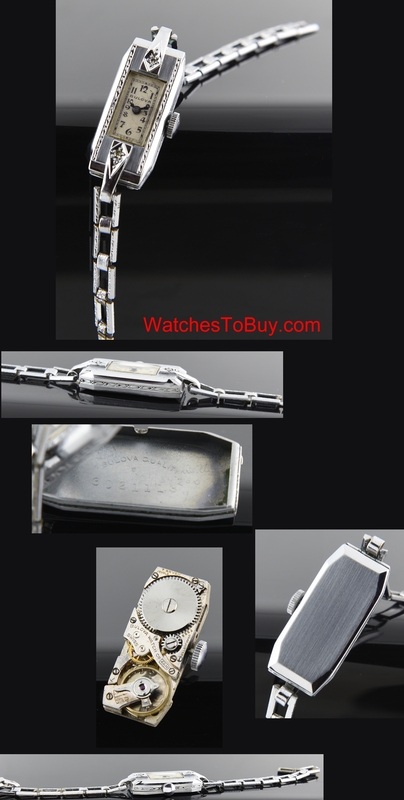 The manual winding BULOVA movement was cleaned and is accurate. The original bracelet is still present.